When I was in Korea several summers ago I did two walks through Mt. Mudeung National Park, each in different directions. On the first one I ended up at this rest stop, a lovely place along the river I was walking by. 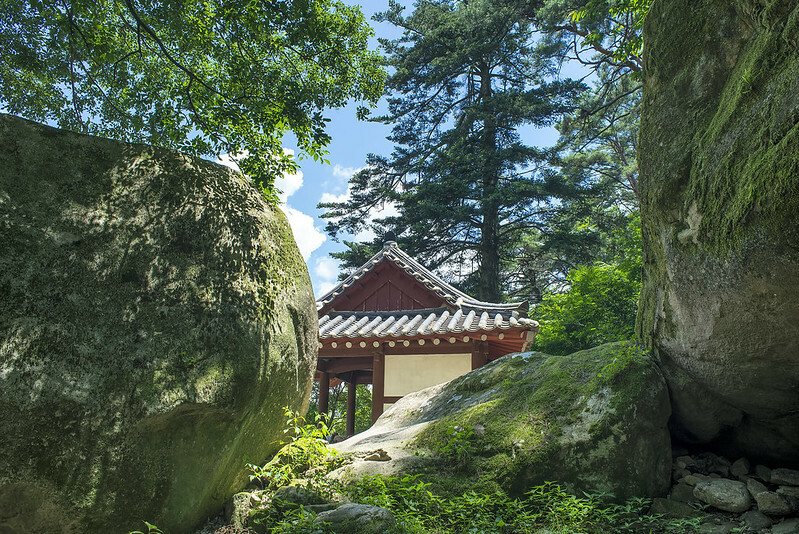 Mudeungsan (無等山) is known for its rocks, but you don’t have to be anywhere near the top to find some pretty cool-looking boulders like these.